Have you have seen any of those documentaries on the origins of planet Earth from about four and a half thousand million years ago? It is simply an astounding story of an initial fireball, subjected to a huge planetary collision, then meteorite bombardments, the arrival of literally oceans of water, the origin of primitive living organisms, climatic disruptions from snowball Earth to volcanic chaos, the oxygenation of the planet…. And finally, after about four thousand million years, the first creepy crawlies appear in the oceans…. 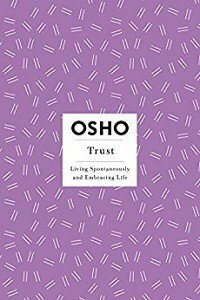 After which it took another 500 million years of trial and error to manage to give you the opportunity to read this book – on Trust! Yes, it took a while to bring you and this book together – which is simply a reflection of the extraordinarily intricate process involved – as a tapestry of zillions of life forms evolve into one organic whole where you can feel at home. Food, water, air, energy and valuable materials are all around us. You have been invited to what may be the most amazing play in the whole universe, called life, surrounded by abundance. So what’s going on? We are the most blessed of creatures – who react to this amazing gift from existence by wasting vast amounts of energy attacking ourselves, each other, and this beautiful planet in a way no other life form does. Here is the missing bit of the puzzle. First, it took a few hundred million years for single cell life forms to appear, and then another few billion years of biological evolution before the animals and the trees appeared. With man, everything changes. “The immense gift of existence is freedom. You are left unprogrammed, you don’t carry a blueprint. You have to create yourself, you have to be self-creative. So it all depends on you: you can become a buddha, a Bahauddin, or you can become an Adolf Hitler, a Benito Mussolini. You can become a murderer or a meditator. You can allow yourself to become a beautiful flowering of consciousness, or you can become a robot. This understanding provides a totally picture of our place in the story of life. Biological evolution has brought us only so far – to a point where it is now up to us to fulfill our potential as human beings, and to create a world fit to live in. Unlike all evolutionary processes in the past, this next step is in our hands! It seems we humans are faced with a critical moment: we either change ourselves or we can expect the current madness in the world to continue. Of course, once you see what is happening in this light it makes total sense. If freedom is the highest potential of existence, then it cannot be just “given” to us, like our arms and our legs. Anything given can be taken away and could never be the basis of true freedom. Either we live robotically, unconsciously destroying ourselves, our neighbors and the world around us, or we bite the bullet and accept the simple realization that either we change or everything will continue the same. It is up to us. So, the way ahead for each one of us is inescapable. A journey, as Osho reveals, which can be the most delightful voyage there is: “Relax into your being, you are cherished by the whole. That’s why the whole goes on breathing in you, pulsating in you. Once you start feeling this tremendous respect and love and trust of the whole in you, you will start growing roots into your being. You will trust yourself. And only then can you trust me. Only then can you trust your friends, your children, your husband, your wife. Only then can you trust the trees and the animals and the stars and the moon. Then one simply lives as trust. It is no longer a question of trusting this or that; one simply trusts. Time to start reading this book!